All you add is the perfect setting. There’s more to a great pool finish than meets the eye. A great pool finish is durable, comfortable, easily maintained, and pleasing to the eye. Diamond Brite from SGM is all that and more. Diamond Brite combines natural quartz aggregates. polymer-modified cement and non-fading Diamond quartz in a stunning variety of colors. The result is a unique finish that stands up to the harshest pool environments while providing years of enjoyment. There are additives used for the regular plaster mix that do help produce positive results. Polymers and or pozzolans have been introduce to the mix and tested in the past for cements other than swimming pool plaster. These special blends have been proven to add substantial strength to the cements performance over documented time. When added to a traditional plaster mix it helps prevent the precipitation of the important bi-products of plaster during its curing and aging process. One of them being the natural salts of the cement known as calcium hydroxide better known by pool service technicians as plaster dust during the first weeks after applying the plaster. Our silicone shields additive seals the cement which helps convert this Hydroxide into less soluble compounds for a more durable finish. 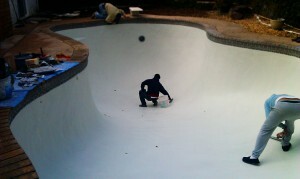 Plaster may not be the most widely used and economical choice for today’s swimming pool surface. Before the technology of Quartz swimming pool surfaces, pebble surfaces, and the modified additives for traditional pool plaster, there was only white plaster. With today’s’ modified surfaces traditional plaster may not be the most economical choice for today’s swimming pool surface. 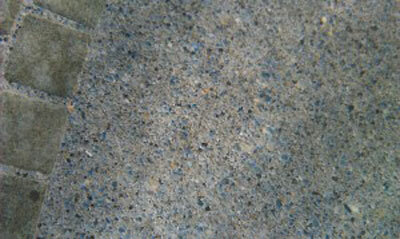 The creamy blend of Portland white cement and crushed marble sand produces a smooth silky look as well as texture. This combination of material produces a surface with an average life span of 9 to 12 years. I’ve seen some surfaces hold it’s integrity for up to 20 years. 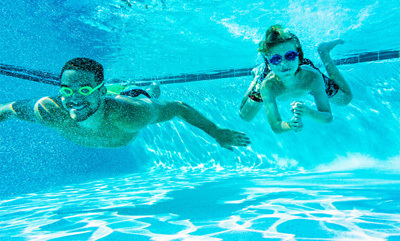 As with all swimming pool surfaces, maintaining proper pool chemistry is paramount to longevity and family enjoyment. River Rok® is a smoother pebble type product. River Rok contains blends of selected natural aggregates and is fortified with polymer cement. River Rok is ideal for new or swimming pool renovations. Available in 6 basic colors that can be blended to produce many others shades and hues, we can create the color schemes your imagination desires. 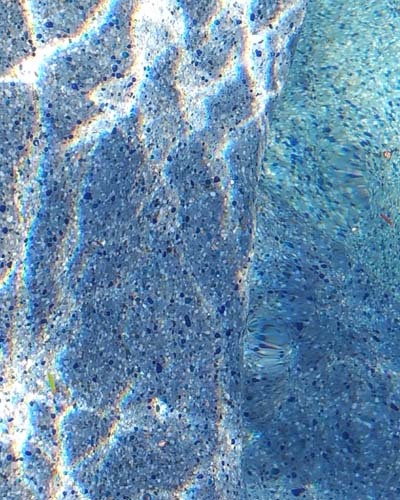 River Rok finishes are factory blended to provide the pool owner with an extremely durable and attractive alternative to traditional pool coatings. 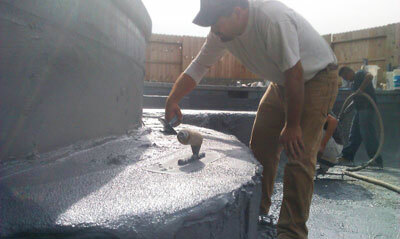 Generation Pool Plastering has many custom color blends – call for details. Color and its effects on the water is a priority concern. Whether you select traditional plaster, quartz, or pebble, color ultimately will compliment the statement or mood you desire to achieve. Further, will also enhance the richness, beauty, and intensity of your pool for years to come. Medium grey color has been the most popular since its introduction to swimming pools over three decades ago. This was, and still is, accomplished by adding black pigment to the traditional white plaster mix until the desired shade is achieved. Created and dubbed “Tahoe blue” by a well known plastering contractor in the early 70′s, it’s still the most widely selected color today. Under different names, it may be introduced through manufactured color packs or in premixed blends with your quartz or pebble finish.